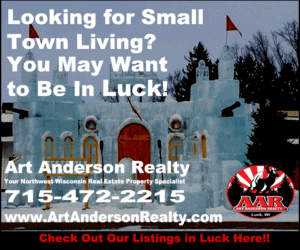 Art Anderson Realty has a wide variety of real estate in Burnett County WI for sale. Property in Burnett County WI offers a vast range of beautiful rural views with forests, lakes and rivers. Rolling farmland and small town residential properties spread across north western Wisconsin. The communities with property for sale in Burnett County WI average at most a couple thousand people. Lake sizes range from very small no-wake lakes up to the 1000-plus acre lakes like Yellow Lake, Sand Lake, Clam Lake, Webb Lake or Big McKenzie Lake. Property for sale in Burnett County WI is bordered on the west by the beautiful Saint Croix River, and it has several other quality canoeing rivers available such as the Yellow or the Namekagon. 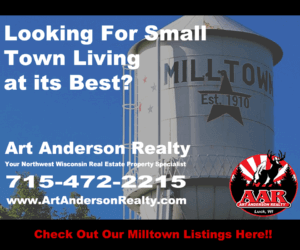 Real estate in Burnett County WI from Art Anderson Realty has property for sale ranging from single family homes, lots and land, commercial spaces, and more. Location is great being under two hours from Minnesota’s Twin Cities, Duluth MN and Lake Superior WI. If you are interested in a cabin or lake home for sale in Burnett County WI, check out our link mentioned further below. Burnett County is also home to Governor Knowles State Forest, and the important wildlife preserves of Crex Meadows, Fish Lake, and Amsterdam Sloughs Wildlife areas. Burnett County offers lots of quality hunting and fishing opportunities. There are casinos operated by the St.Croix Band of the Ojibwa in the communities of Hertel and Danbury. Art Anderson Realty has over 200 single family Burnett County WI real estate property homes for sale listed. Click here to view them! There are nearly 100 houses for sale in Burnett County WI that have water fronts. If you are interested in a lake home for sale in Burnett County WI, view water front property listings by clicking on the link here! Hundreds of properties for sale in Burnett County WI providing great cabins, private land, and family-friendly houses. 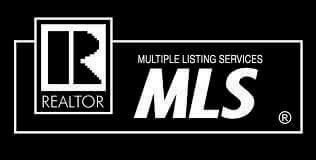 Art Anderson Realty has property for sale in Burnett County WI located throughout Danbury WI, Spooner WI, Shell Lake WI, Scott Township WI, Rusk Township WI, Webb Lake Township WI, Grantsburg WI, Siren WI, Union WI, and more. Find your real estate in Burnett County WI with Art Anderson Realty. Contact us today!